Designed by Lou Harper, the beautiful cover art for Frozen is far more than it appears. It is actually the culmination of years of struggle, of adversity, and of serious backlash over misleading, inadequate, and unprofessional series covers. Let me back up, because this story doesn’t begin with Frozen at all. It begins with the first book in the Cassie Scot series, which has recently had an incredible makeover. Many of my reviews for the early books in the series say, “Don’t judge this book by its cover!” They go on to say that the cover is awful, but the book is great. Well, obviously, I’m glad they liked the book, but I’ve been discouraged for years by the flack I’ve received for the covers. One of the worst consequences of my original covers was the mistaken belief (by some) that my books were mid-grade novels, or at least young adult. They are not! These were written with adult audiences in mind. The original cover artwork for the Cassie Scot Series were hand painted originals done just for me. And saying that is bittersweet, because when my publisher first suggested going this route, I felt incredible pride at the idea of having artwork created just for me. It made me feel special. At this point, I have something of a love/hate relationship with the original covers because I can’t deny they were mistakes. Yet, some part of me still sees something special in them, something unique that the modern practice of photo manipulation can’t capture. Take Secrets and Lies, for instance, the second book in the series and the one with the greatest backlash. “It looks too romantic,” many or my readers said to me. And maybe it does. None of these books are romances, exactly, but there is a strong romantic subplot (like it or not), and that pose on the original Secrets and Lies perfectly captures the tension in that book – Evan wants Cassie; Cassie is unsure. Photo manipulation is incapable of creating such a scene. To do the same thing with photography, I would have to hire my own models, and a photographer, and do a prohibitively expensive photo shoot to make it happen. But I get it. I really do. The original cover artwork has manican-like faces, and they lack the sharpness, the zing, the edge of professionalism that people are used to seeing on urban fantasy novels. I asked my publisher to hire a new cover designer for Madison’s Song and Kaitlin’s Tale, two spin-offs following secondary characters, and she did a nice job. Not so nice that I wanted her to redo my whole series, but definitely an improvement. And at that point, I thought I was done writing the series. When Cassie told me, “Life doesn’t end when you get married,” and made me write Frozen, the first book in her new plot arc, I knew I needed something different for the cover. My publisher gave me some choices, knowing I was unhappy with the earlier artwork, but ultimately I refused them all and asked her if she would hire Lou Harper, who was recommended by some fellow authors. We found a stock photo model for Cassie, and when I did, I tried to find someone with enough poses that she could be used on additional books and maybe … if I liked Frozen well enough, on a series overhaul. I told Lou about some magical creatures that appear in the book, including a hellhound, which she depicted beautifully standing atop a frozen lake. The mist obscuring the background is another important plot element, and really holds the scene together. 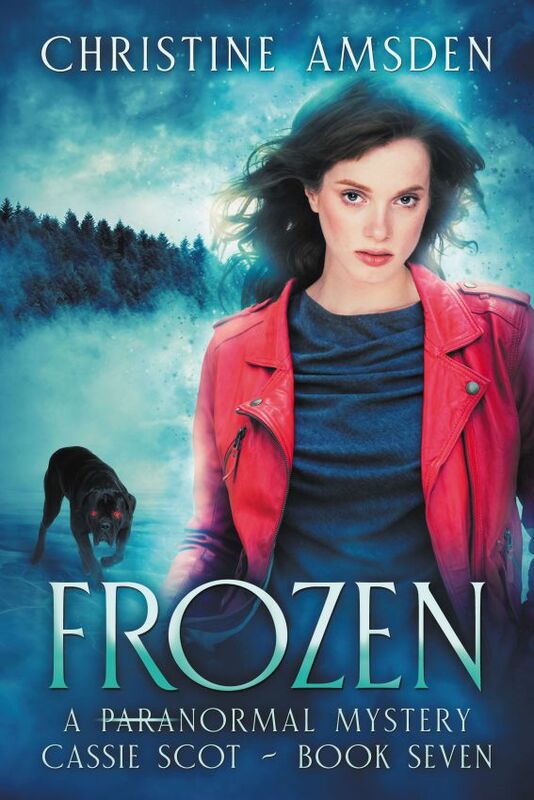 When I revealed the cover art for Frozen to my loyal readers, I got immediate, positive feedback. Some claimed that Cassie looked just like they’d pictured. Many said it was beautiful, and professional, and when I floated the idea of the series makeover, I was met with enthusiastic encouragement. So I went for it. I hope you like the new covers half as much as I do, and that regardless, you’ll give the books a chance. You shouldn’t judge a book by its cover, but we often do. I sometimes do, even though I know how the process goes, and how hard it is to find the right representation for a book! I present these before-and-after covers proudly, but know the books are far more than their covers. Cassie Scot is a labor of love that only comes alive when you peak inside. I am incredibly happy to see the new covers. I fell in love with this series when I read my first Cassie Scott book. I have loved every book since. I liked the old covers but they do deceive the reader. The series looks geared to juveniles when it is not. Seeing the new covers gave me goose bumps! I hope they do you too. If you have not read the Cassie Scott series, I hope the new covers entice you to give them a try. I was devastated when I heard the series had ended. I have no words for the joy I felt when I heard that Cassie had convinced the author her story needs to go on. I am so excited over Frozen! Christine currently lives in the Kansas City area with her husband, Austin, who has been her biggest fan and the key to her success. 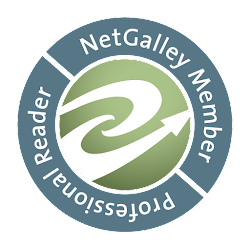 In addition to being a writer, she's a mom and freelance editor.